I LOVE getting my fresh beans every couple weeks. The packaging is awesome, it's like Christmas morning every other week!! As the office admin, it is so helpful to know that, this is one more thing I don't have to think about. It just shows up and always on time! You must first select a coffee subscription package, on the right. 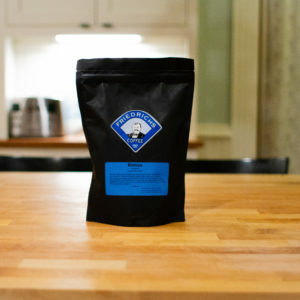 Special premium roast for your subscription, is selected by our head coffee roaster. Try to wait patiently for your fresh coffee every 2 weeks! If you have specific roasts of coffee or teas that you prefer, please let us know in the notes section when you check out.Otherwise we’ll select a mix of delicious beans for you. – Of course if you are unhappy for any reason, we will try to rectify the situation. If we are unable to, you may cancel your subscription at any time. Feel Free to reach out to us anytime if you have questions or would like more information or setting up your office space with fresh Friedrichs coffee or Office coffee products!